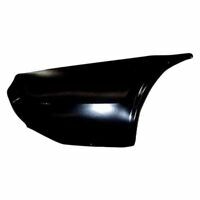 Goodmark 1970-1974 Dodge Challenger Passenger Lower Rear Quarter Panel Patch Ea. summitracing_sales has no other items for sale. Details about Goodmark Fits 1970-1974 Challenger Passenger Lower Rear Quarter Panel Patch Ea. 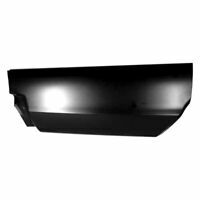 Goodmark Fits 1970-1974 Challenger Passenger Lower Rear Quarter Panel Patch Ea. Free shipping on all eligible items from summitracing_sales, when you use the cart to make your purchase. $0.00 shipping for each additional eligible item you buy from summitracing_sales, when you use the cart to make your purchase. Sales tax may apply when shipping to: AL*(8.0%), CA*(9.5%), CT*(6.35%), DC*(6.0%), GA*(7.0%), HI(4.5%), IL*(6.25%), IN*(7.0%), IA*, KY*(6.0%), ME*(5.5%), MD*(6.0%), MA(6.25%), MI*(6.0%), MN*, MS*(7.0%), NE*(7.0%), NV*(8.25%), NJ*(6.625%), NY*(8.0%), NC*(6.75%), ND*(7.5%), OH*(6.75%), SC*(7.0%), SD*(6.5%), TX*(8.0%), UT*(6.85%), VT*(6.0%), WA*, WV*(6.0%), WI*(5.5%), WY(5.0%). Payment must be received within seven (7) days of purchase. We do not accept Paypal E-checks. Returns are not accepted on paint products.